420 cyber crime cases were solved in 2015 through CSM's digital forensics expert services. 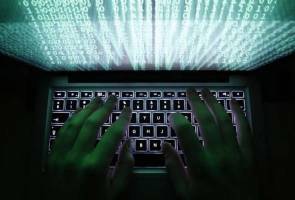 KUALA LUMPUR: The number of cyber crimes in the country has increased, with an average of 10,000 cases reported each year, said Chief Executive Officer of CyberSecurity Malaysia (CSM) Dr Amirudin Abdul Wahab. He said these included various types of cyber crimes, with the highest incidences involving online scams and the rest involving hacking information systems of organisations. "There is a global trend which show that the total amount of loses through cyber crimes could exceed traditional crimes," he said after representing CSM in signing a memorandum of agreement with Universiti Teknologi Malaysia (UTM) for a collaboration in the field of Integrated Cyber Evidence here on Thursday . UTM was represented by its vice-chancellor Prof Datuk Dr Wahid Omar. Amirudin said 420 cyber crime cases were solved last year through CSM's digital forensics expert services. He said the CSM's role in a case was to gather all important data. On the agreement with UTM on Thursday, Amirudin said CSM would work with UTM's Advance Informatics School (AIS) which specialised in research and development of cyber technology and digital forensics. Meanwhile, Wahid said the joint-venture with CSM would also develop data highway analysis technology and expertise in existing cyber infrastructure. "CSM will also sponsor RM2.28 million for project development and training by building a satellite laboratory at UTM's Kuala Lumpur campus for the purpose of Big Data and Digital Forensics," he said. Wahid added that AIS would also provide data highway training and collaborate to produce about seven doctorate graduates for the industry. In a related development, he said the UTM's Kuala Lumpur campus would implement an open campus concept. "We will open the KL campus to any intellectual development including allowing the use of physical facilities and laboratory construction on UTM land," he said.